Introduced from the West. 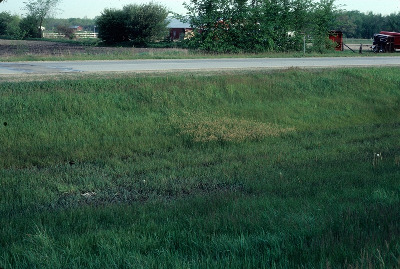 Long known from a few localities in the Upper Peninsula (first collected in 1915 in Schoolcraft Co.), but more recently becoming abundant along heavily salted roadsides in southern Michigan (Reznicek & Catling, 1987). MICHIGAN FLORA ONLINE. A. A. Reznicek, E. G. Voss, & B. S. Walters. February 2011. University of Michigan. Web. April 21, 2019. https://michiganflora.net/species.aspx?id=1029.